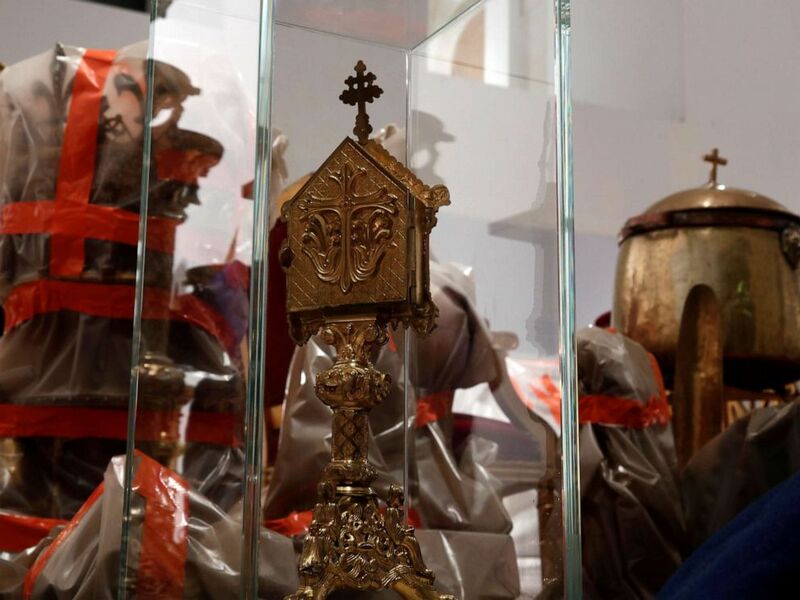 Notre Dame Cathedral itself is a precious landmark, but it also serves as a guardian to priceless artifacts and works of art, many of which are yet to be named and confirmed as safe following Monday night's powerful fire. 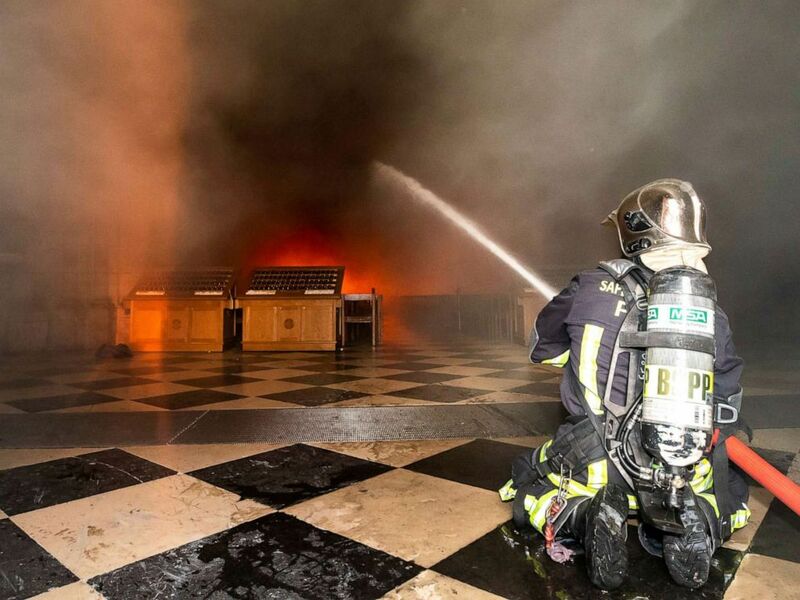 This photo provided Tuesday April 16, 2019 by the Paris Fire Brigade shows fire fighters spraying water inside Notre Dame cathedral, Monday April 15, 2019. 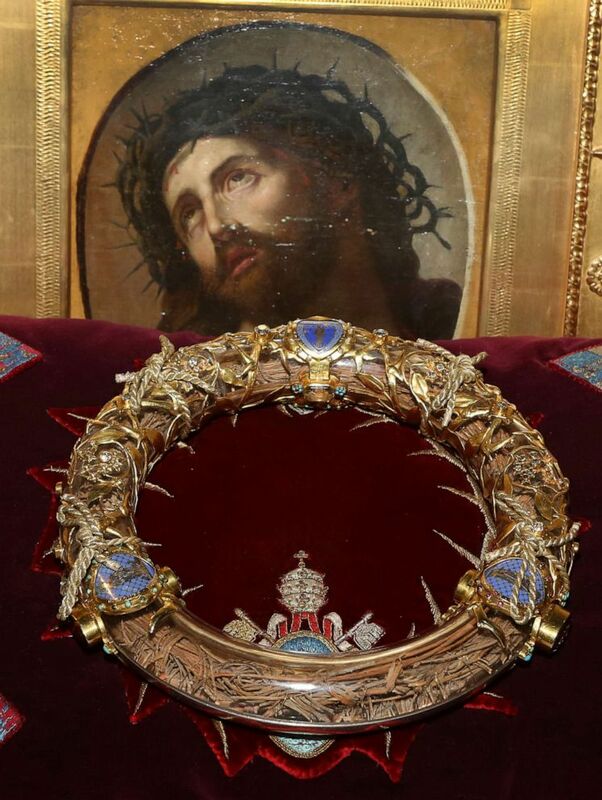 A crown of thorns which was believed by some to have been worn by Jesus Christ and which was bought by King Louis IX in 1239 is presented at Notre Dame Cathedral in Paris, March 21, 2014. A picture taken on April 16, 2019 at the Paris Hotel de Ville shows some of the artworks of Notre-Dame-de-Paris sheltered as a fire devastated the cathedral. 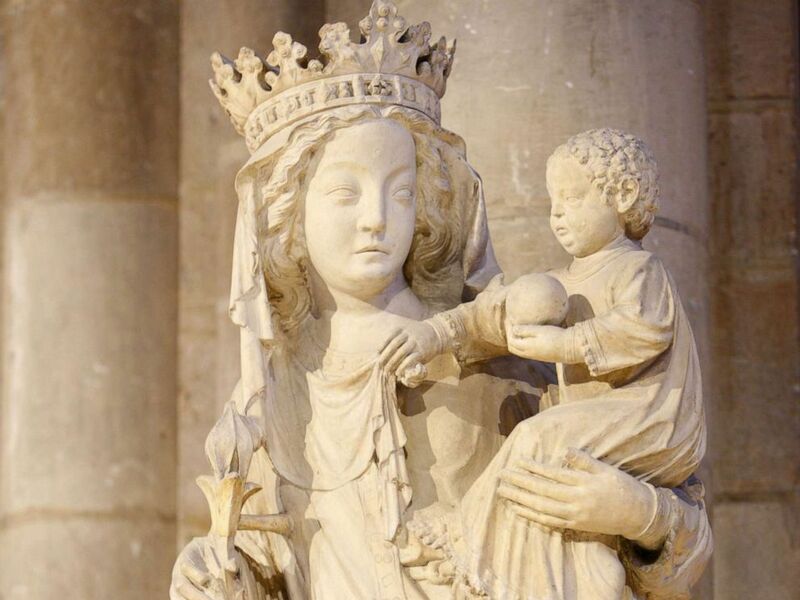 The 14th century Notre Dame de Paris, or Our Lady of Paris, statue is pictured in the Notre Dame Cathedral in Paris, in an undated file photo. Some of Notre Dame’s most iconic works of art form part of the cathedral, such as the ancient stained glass windows. While they appear to have survived, they still haven't been inspected and there are fears that they have been damaged beyond repair or have sustained serious damage. 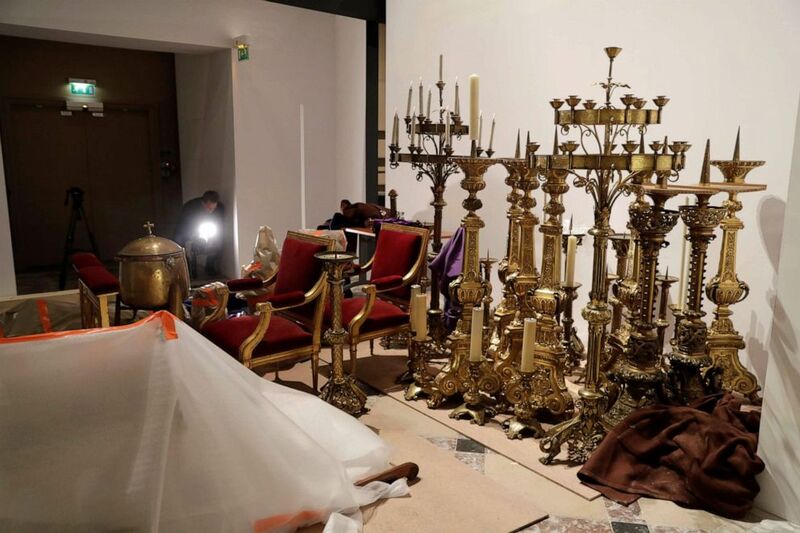 Saved treasures from Notre-Dame Cathedral are seen in a room at Paris city hall after a massive fire devastated large parts of the gothic cathedral in Paris, France, April 16, 2019.